The second wave of the EAC-I (Enquête Agricole de Conjoncture Intégrée) is underway. First visit interviews were recently completed, and second visit interviews are expected to start at the beginning of December 2017. Field work for a Non-Standard Unit Survey has been completed and the conversion factors and photobook will be available in December 2017. 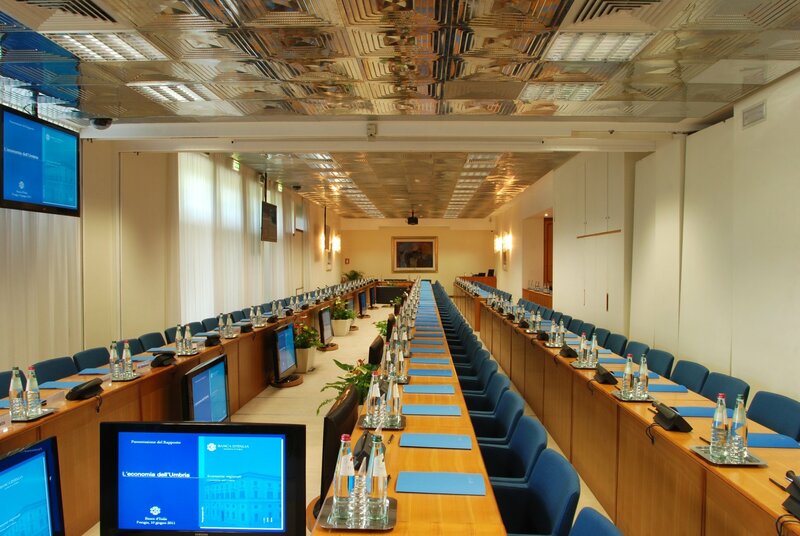 The first wave of the EAC-I is available here. Data from the Malawi Fourth Integrated Household Survey (IHS4) will be released this month, and will be available in the Microdata Library. 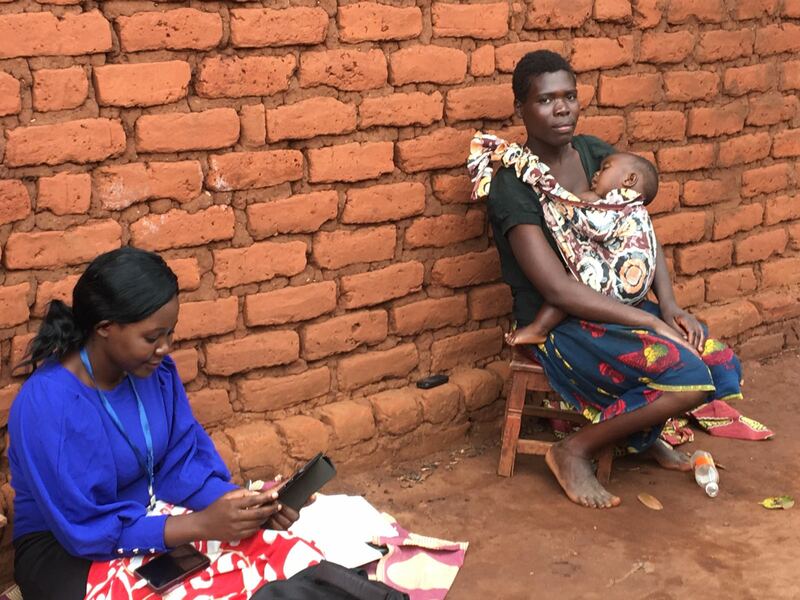 The IHS4 was implemented by the Malawi National Statistical Office (NSO) and includes a cross-sectional sample of 12,447 households interviewed over a 12-month period (April 2016–April 2017). In addition, a panel component was tracked; it targeted 1,989 households that were interviewed in 2013 as part of the Integrated Household Panel Survey (IHPS) and that could be traced back to half of the 204 enumeration areas that were originally sampled as part of the Third Integrated Household Survey (IHS3) 2010/11. The panel sample expanded each wave through the tracking of split-off individuals and the new households that they formed. The IHS4 is the first full LSMS-ISA survey implemented using the World Bank Survey Solutions CAPI platform, allowing for a rich dataset composed of household, agriculture, fisheries, community, and individual-level modules to be released within six months of the conclusion of fieldwork. The Kagera Health and Development Survey (KHDS), an LSMS longitudinal survey of households from 1991–2010, has reached an impressive milestone: More than 100 studies have been written using the KHDS! From the baseline in 1991, that’s a ratio of 1:8 papers produced per household interviewed. Here are some of the take-away lessons: First, you never know where the research will go. The KHDS was implemented with the purpose of studying the socioeconomic impact of HIV/AIDS. High-quality and careful data collection on this one specific theme led to research on many other topics not foreseen at the start (such as refugees and migration, thanks to successful tracking). Second, you never know when you will do another round of a panel survey. The KHDS was originally designed for four waves of interviews from 1991–1994. Collecting sufficient contact information and allowing a new team access to it resulted in a fifth wave in 2004. Third, new team members bring new momentum. Expanding the project to new principle investigators and graduate students enabled the fifth and sixth rounds and brought fresh ideas. Fourth, open data opens doors to a lot more research. The KHDS passed the 100 studies mark by putting the data in the public domain with documentation. Much appreciation goes to the respondents who patiently and often eagerly participated in the KHDS, and great thanks to the hard-working field team that made the survey happen. How much did you eat yesterday? And how much did you spend? On what food products, exactly? And what about last week? These types of questions can be very hard for anyone to answer, yet most analyses of poverty, food security, and nutrition are based on data collected using different variants of these questions. A new Special Issue in the journal Food Policy presents evidence on the impact of survey design choices on the quality and availability of data collected in household consumption and expenditure surveys (HCES). The introduction and a few of the papers in the volume are Open Access. The newest addition to the LSMS Guidebook series is all about soil – why it matters and how to measure it. Soil health is unarguably important in low-income contexts where agriculture is often the primary means of livelihood. Yet, its highly complex nature complicates measurement. Do subjective farmer assessments of soil health reflect the true state of the soils? 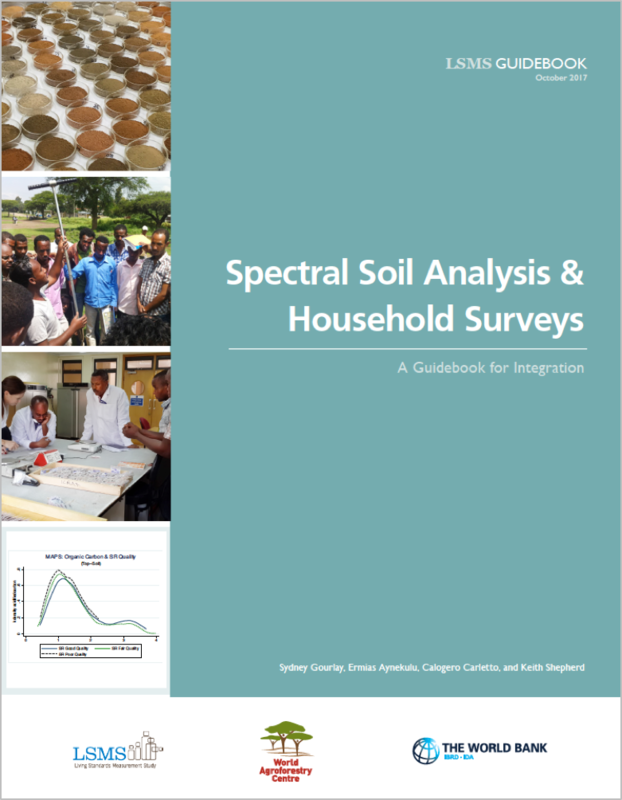 Is this the best way by which to collect data on soil health in household surveys? Stylized facts set agendas and shape debates. In rapidly changing and data-scarce environments, they also risk being ill informed, outdated, and misleading. So, with higher food prices as a result of the 2008 food crisis, robust economic growth and rapid urbanization, and climatic change, is conventional wisdom about African agriculture and rural livelihoods still accurate? Or is it more akin to myth than fact? The essays in Agriculture in Africa – Telling Myths from Facts aim to set the record straight. They exploit newly gathered, nationally representative, geo-referenced information at the household and plot level, from six African countries. 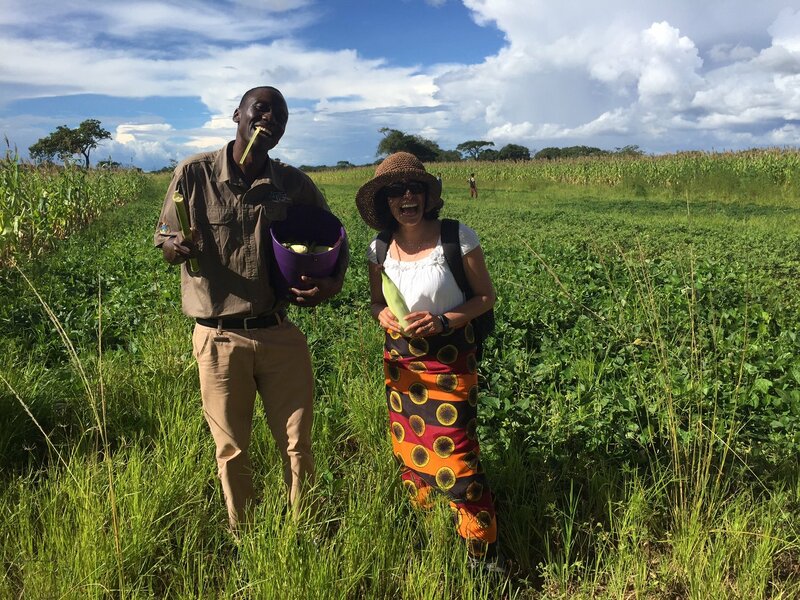 In these new Living Standard Measurement Study-Integrated Surveys on Agriculture, every aspect of farming and non-farming life is queried—from the plots farmers cultivate, the crops they grow, the harvest that is achieved, and the inputs they use, to all the other sources of income they rely on and the risks they face. Together, the surveys cover more than 40 percent of the Sub-Saharan African population. In all, 16 conventional wisdoms are examined, relating to 4 themes: the extent of farmer’s engagement in input, factor, and product markets; the role of off-farm activities; the technology and farming systems used; and the risk environment farmers face. Some striking surprises, in true myth-busting fashion, emerge. And a number of new issues also emerge. The studies bring a more refined, empirically grounded understanding of the complex reality of African agriculture. They also confirm that investing in regular, nationally representative data collection yields high social returns. Fieldwork for the Global Multi-Tier Measurement of Access to Energy Survey, a survey launched by the World Bank to track progress toward Sustainable Development Goal (SDG) 7, began in September 2017. The LSMS team is providing technical support to the implementation of this nationally representative survey, which will cover a total of 3,658 households, communities, and facilities such as health, education, place of worship, and government offices. The study is being initiated by the World Bank’s Global Practice, Energy and Extractives Sector, and is being facilitated by Probe Market Research Lusaka. 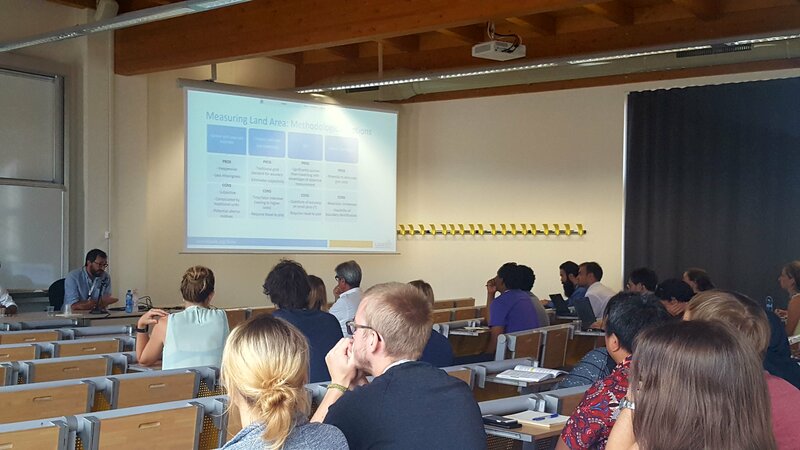 The LSMS team organized two sessions at the XV EAAE Congress: Towards Sustainable Agri-Food Systems: Balancing between Markets and Society, held in Parma, Italy from August 29 to September 1. The first session brought together selected papers from the Food Policy Special Issue on food consumption measurement, as highlighted above. The second session gave voice to the selected studies supported by the UK Aid-funded “Minding the (Agricultural) Data Gap” methodological research program that LSMS has been leading and highlighted our body of work on the measurement of (1) land area, as synthesized in the LSMS Guidebook on the topic, informed by From Guesstimates to GPStimates; Cheaper, Faster, and More Than Good Enough; Missing(ness) in Action; and Mission Impossible? ; (2) soil fertility, as captured in the LSMS Guidebook on the topic and in the working paper Collecting the Dirt on Soils; (3) agricultural labor, as disseminated in the working paper Not Your Average Job; and finally (4) crop production and its implications for the inverse scale-productivity relationship in Uganda, as presented in the working paper Could the Debate Be Over? The LSMS team attended the Inter-Conference Symposium of the International Association of Agricultural Economists (IAAE), held in Talca, Chile, from October 17-20. The conference coincided with the 5th Regional Congress of Agricultural Economics and was sponsored by the governments of Chile, Argentina, and Uruguay. LSMS’s work was featured in three sessions. The first session, “Sustainable Productivity and Public Policies: Synergies to Improve Agricultural Economic Development,” sponsored by the Office of Studies and Agricultural Policies of the Ministry of Agriculture of Chile, provided a platform for sharing experiences in collecting agricultural data in developing countries, as well as sharing lessons learned from LSMS methodological research on the measurement of land area, soil fertility, and agricultural labor. At the second session, “Labor and Productivity,” the team presented findings from its research on agricultural labor measurement in Tanzania and Ghana. In the third panel session on “Poverty, Agriculture and Rural Development,” the team shared its work on data and policy design, including the Agriculture in Africa: Telling Facts from Myths program. Overall, the influence and reach of LSMS work was evidenced by the number of times LSMS data and research were cited throughout the conference. The work in Zimbabwe has taught me a great deal on how bringing together actors with different expertise and backgrounds can help achieve goals successfully. My work in Tanzania, Ghana, and Malawi, which involves methodological research on labor measurement, has reaffirmed the importance of continuously improving the methods of data collection as well as ensuring data quality. The most fulfilling part of my journey with the LSMS, however, has been working with colleagues who day to day teach me and mentor me, making this the best place to work and develop my skills.